It's only been a few weeks since I moved house and left my beloved 3121 postcode (hence the delay in writing blog posts), but one of the things about Richmond that I'll miss most — apart from my house, Der Raum, the Dimmeys clocktower, the Cherry Tree, Picture Search Video and the dilapidated Cremorne Gardens mural — is also one of the newest additions to the suburb. 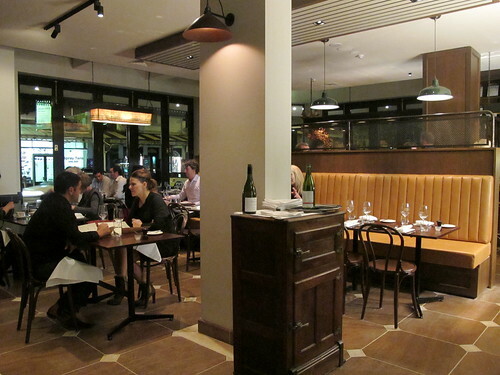 Union Dining opened in early May, the baby of business partners Nicky Reimer (most recently cheffing at Melbourne Wine Room) and Adam Cash (you may remember him as the bespectacled restaurant manager taking excellent care of you at Cutler & Co). 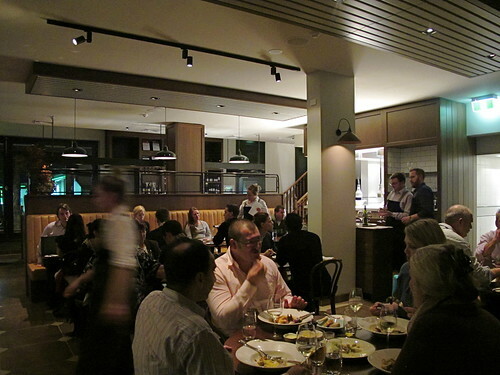 The food is provincial European with strong Northern Italian influences, the fitout is relaxed bistro, the service is warm and professional. 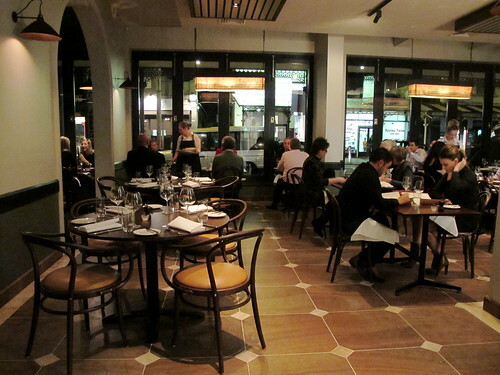 It's located on Swan Street, east of the Dirty Swan and that string of Greek restaurants (the Union Dining site itself used to be a large Greek restaurant), and is exactly the kind of smart, classy restaurant that the culinarily-patchy area has needed. 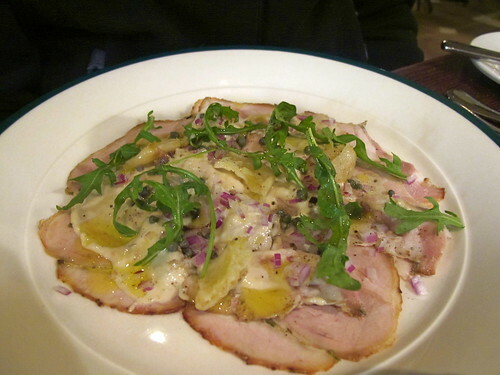 On my first visit with Melbourne J, we ordered the porchetta tonnato with rocket ($17.50), a great porcine twist on the usual poached veal, and the terrine de maison ($16), which from memory was pork & pickled tongue and came with wonderfully agrodolce pickled Dutch carrots. Tick and tick. 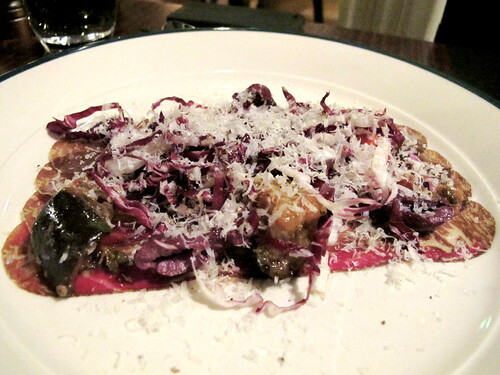 Another UD appetiser I love is the one I had on my visit with Sydney J, the bresaola with slow roasted eggplant relish ($16). 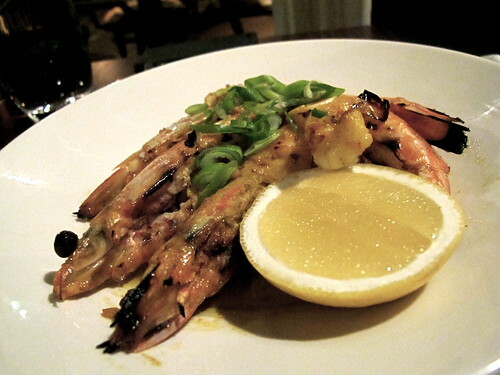 Sydney J went retro, ordering the humungous "prawns on the grill" with roast garlic and saffron butter ($15). As messy and date-inappropriate as they are delicious. 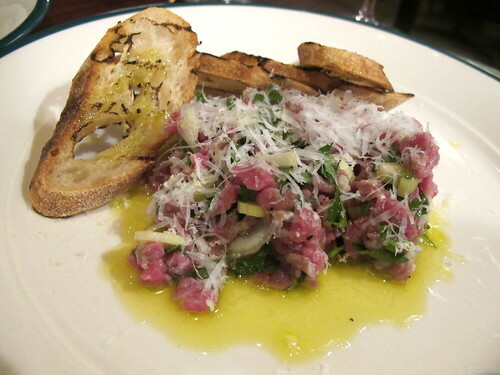 The only starter I wasn't wild about was the steak tartare ($19), which is done in the Piedmont style with horseradish and lashings of pecorino, parsley and celery. Much milder in style than the usual affair with raw egg, onions, capers and seasoning. 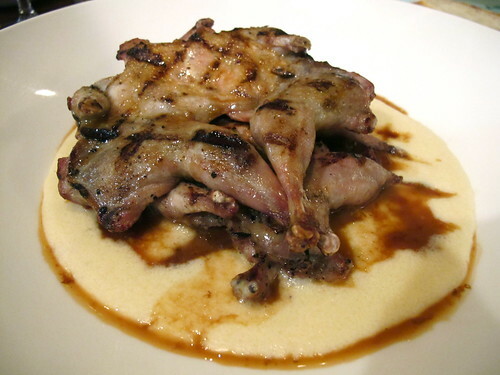 While Melbourne J worked his way through an eye fillet I was rapt by my main course: soft soft soft white polenta with juicy chargrilled quail and oh-so-rich pine mushrooms ($20/$29). 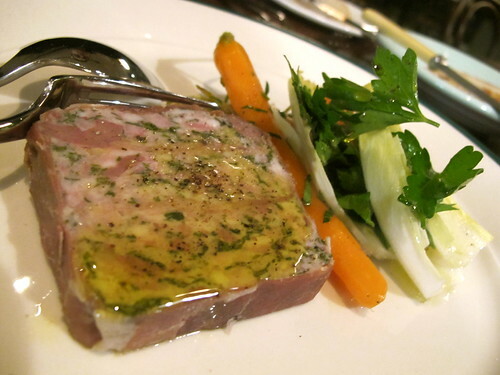 At my urging, Sydney J ordered the abbacchio of goat with braised peppers and Manzanilla olives ($33), a dish of Nicky's that I'd loved when I had it a few months earlier at the MFWF Long Lunch held by Sommeliers Australia. It's understandably something of a signature dish for Union Dining, and the meat falls apart upon the slightest nudge from your fork. 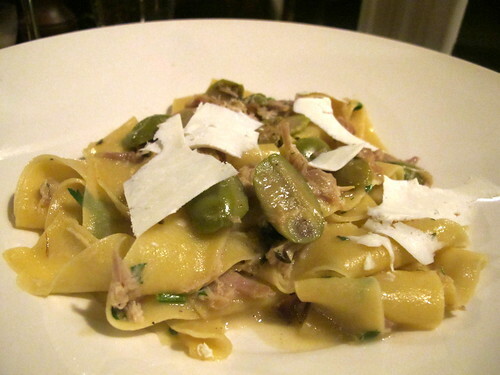 While he had the goat I enjoyed the pappardelle with rabbit ragu, green olives and ricotta saltata ($19/$26), a fine dish that made me horribly homesick for Northern Italy. Fingers crossed I can get back there to visit family next year. 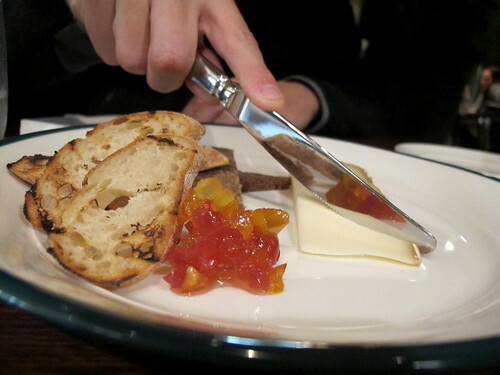 Melbourne J, ever the Melbourne Gastronome hand model, pictured with a platter of Ossau Iraty and mustard fruits ($12). In addition to cheeses, Union Dining offers a selection of ice cream/sorbet coupes and desserts (if I'd ordered dessert I totally would've dived headfirst into the pot roasted quince with almonds and anglaise). 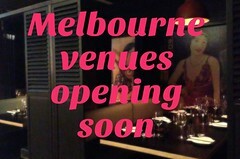 I also wanted to mention that Union Dining is going to be the venue for the next [TOYS] Collective Melbourne dinner event. Its title (Issue #6: Stars & Stripes) is appropriate given the date on which it's being held (4th of July). The dinner will feature chefs Nicky Riemer (Union Dining), Aaron Turner (Loam), John Paul Twomey (Cutler & Co), Daniel Wilson (Huxtable), Yen Yee & Bernard Chu (Luxbite) and Andrea Riess (Chez Dre), plus 'Trink Tank' (Der Raum's new, experimental arm). A few tickets ($160 per head plus booking fee) are still available: more info can be found here and here. I really loved the last TOYS event I went to at Embrasse: read all about it here. Think I need to go to this one! Same day my sister/housemate leaves for O.S so guess best way to cure a deadly quiet house is to go out & meet people! LOL. 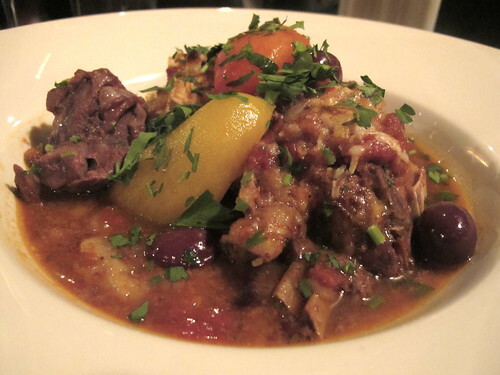 Those dishes are making me feel like visiting my Nonna! LOL! MG, no comment about the wine list. Is it so unremarkable? The quails look beautiful! The funny thing is I'm watching Masterchef right now and they're cooking quail! Made me crave for it.. I moved away from Richmond last April and I still miss Picture Search! Hopefully will be visiting Union Dining tomorrow night. 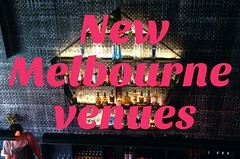 I hope you enjoy discovering good food and cocktails in your new haunt! This looks lovely! Your post is the second time I've seen this place mentioned online today - it's getting great write ups!